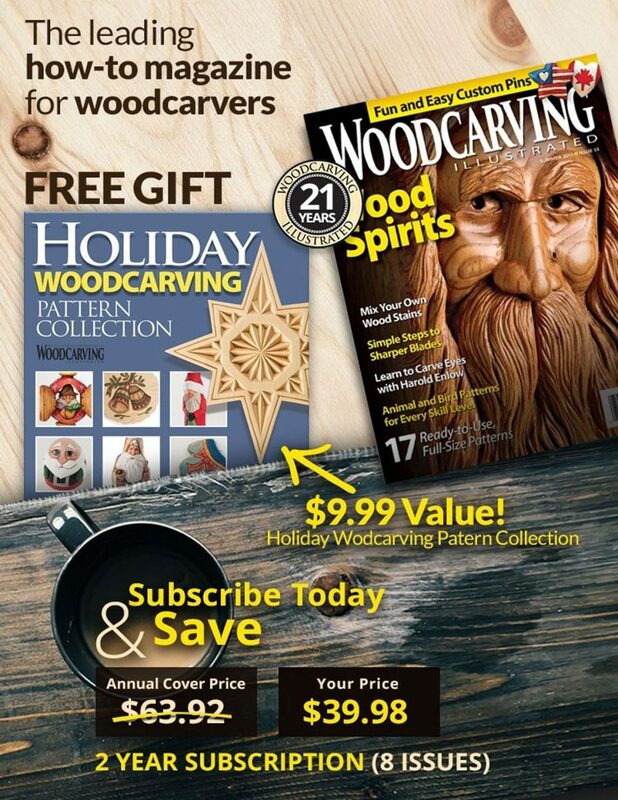 Not only does it make a great gift for that angler on your list, but it’s also a great way to texturing carvings with just a few tools. 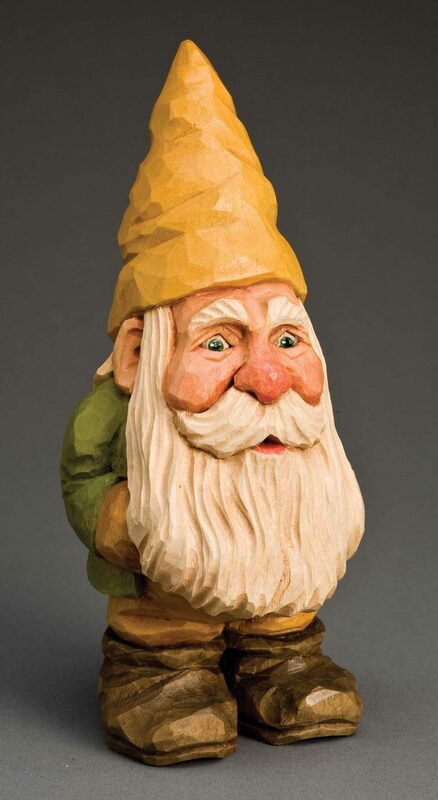 After the carving is roughed-out, the details and texturing is done with only three tools. Step 1: Cut out the blank. I use a band saw with a 1/4″-wide blade and 6 teeth-per-inch. Cut out the front view. Then use either masking tape or hot-melt glue to re-attach the cut-off pieces in order to cut out the side view. I leave the wood between the legs intact initially so that I can put a carver’s screw into it. This will hold the wood securely to the bench during the roughing-out stage. Step 2: Round and rough-out the piece. 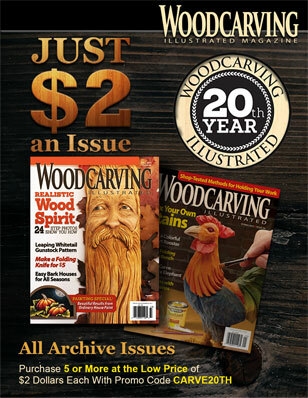 I use a #8 20mm gouge, a #6 10mm gouge, a #9 10mm gouge, a carving knife, and a 60° V-tool. Don’t hesitate to remove the wood quickly. Step 3: Cut out the material from between the bear’s legs. I use the band saw. Step 4: Finish rounding the legs. I use a #6 10mm gouge. Step 5: Carve in the fur. I use a #6 3mm palm gouge for the fur on the body. For the finer fur on the head, I use a small V-tool. Step 6: Cut in claws. Use the knife to give the suggestion of claws, since this is a caricature. Step 7: Detail the fish. Leave the fish smooth, but use a small V-tool to carve in the fins, gills, and mouth. Step 8: Carve in the eyes. Use the carving knife. Bear eyes are smaller proportionately than human eyes, and they are closer to the bridge of the nose. Oil paints: brown, Chinese white, yellow ochre, viridian green, and scarlet red. 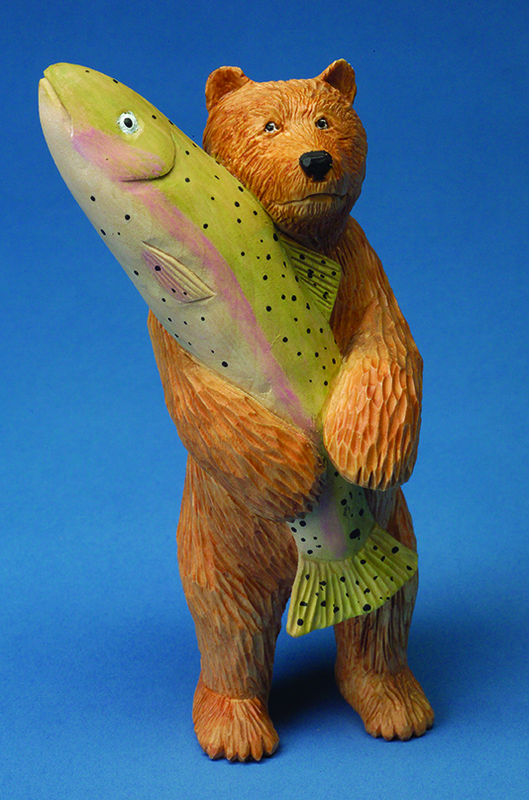 CLICK HERE to download the bear and fish pattern.